With this in mind, the fifth issue of The SEND Practitioner free-zine will publish 31 July. Gareth D Morewood – practising SENCO and respected author – will give detailed step-by-step guidance and comprehensive answers to 15 key questions that our practising SEND professionals want to know. With only five weeks to go until the new term, it’s an issue that SEND practitioners really can’t afford to miss. 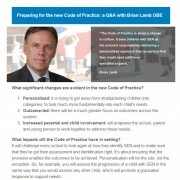 We published the fourth issue of The SEND Practitioner shortly after the SEND Code of Practice was laid before Parliament on 11 June. We were particularly pleased to feature a Q&A on the prospective SEND reforms with Steve Huggett – director of the Autism Education Trust. Steve answered a broad range of your reform questions. Ultimately, reflecting, that the new legislation has a lot of potential to maintain and develop the principles of good practice. 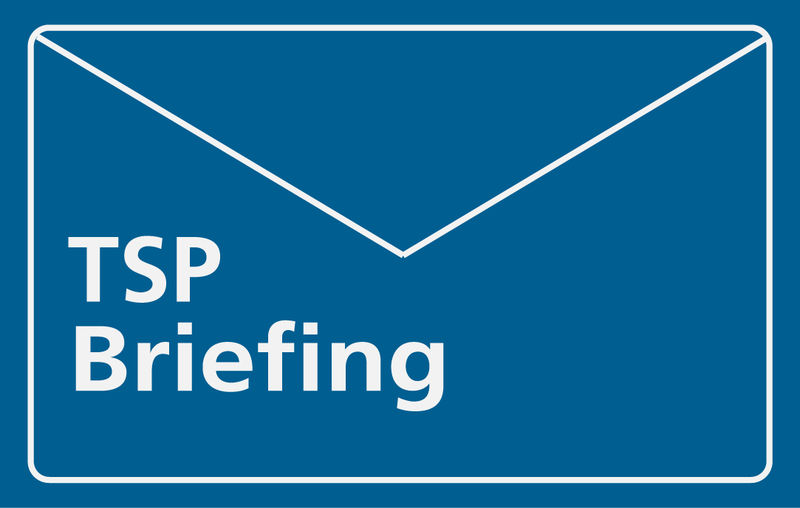 For issue three of The SEND Practitioner, we thought that we would speak to one of the Act’s and Code’s key civil servants. We know that SENCOs have a lot of questions and wanted to be the voice of our SENCOs. 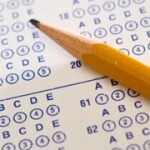 With that in mind, we asked all of the SENCOs who have ever trained with us to send us their questions. We received a host of fascinating questions, compiled them and took them to the hallowed halls of the Department for Education’s Stephen Kingdom. Stephen answered them eloquently and persuasively and we are delighted to feature them in the third issue of The SEND Practitioner. In late February, as part of our ongoing commitment to excellence in SEND practice, we introduced a free monthly ezine for all of our current and previous students. 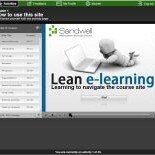 The SEND Practitioner covers a variety of expert-led topics, offering the latest practical insights. These exciting free-zines discuss the most pressing issues facing the SEND practitioner today with real experts and expertise. March’s issue contains up-to-the-minute guidance on the forthcoming Code of Practice: what changes are taking place; what should practitioners do to prepare; and what will it mean for them? Brian Lamb OBE, author of the influential Lamb Inquiry, discusses his thoughts alongside a group of SENCOs and a timeline to change. April’s issue features Lorraine Petersen’s (former CEO of nasen) illuminating insights on the Act and the prospective Code. In May’s issue, our Q&A with Stephen Kingdom (the DfE’s Deputy Director of SEND) will enable us to discuss the most pressing issues and questions with a key government figure. To this end, if you have a question that you would like to ask Stephen, please contact our editor by email. 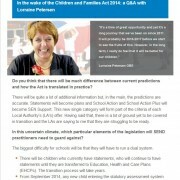 You will be able to access a copy of both published issues of The SEND Practitioner on our website very shortly. In the meantime, you can sign-up to and read the first two issues of The SEND Practitioner here. Real training is currently progressing a bespoke CPD course for international assessment and development consultancy Cubiks. The objective of the project is to enable Cubiks to move significant elements of its online training content for the PAPI Assessment Tool online, reducing the current face-to-face training requirement. We are proud to have passed the approval process to become an officially recognised CACHE Registered Centre. CACHE, the Council for Awards in Care, Health and Education, is the UK’s only specialist awarding organisation for the children, adult and healthcare sectors, with a portfolio of qualifications ranging from Entry to Level 5. We look forward to working with them and our clients in developing high quality NVQ and QCF courses. Our popular Certificate of Competence in Educational Testing (CCET) course is selling out fast. Take your competence in psychometric testing to the next level with the gold standard qualification for the education profession – set by the British Psychological Society. To avoid disappointment, book now.